Led by Mary Fettig on sax, her quartet will include guitarist Chico Pinheiro, bassist Scott Thompson, and Brian Rice, percussion. A multi-instrumentalist in both jazz and classical spheres, Mary Fettig is a performer, teacher, and clinician who has played at festivals and toured with celebrity acts around the country. She was the first woman to join the Stan Kenton Orchestra and is currently on faculty at the San Francisco Conservatory of Music. Bond like you’ve never heard it before! The Secret Agent Band plays the music of Bond (James Bond), shaken and stirred. Led by drummer Akira Tana, his team includes Nashville-based vocalist Annie Sellick with James Mahone on sax, Jeff Massanari on guitar, and Midori Ono, organ. The Emerging Artists will be guitarist Harry Gold and drummer Michael Wang. Tana traces the origins of the Bond project back more than two decades to when he was in Japan recording the album Secret Agent Men, featuring Hammond B-3 legend Dr. Lonnie Smith (just named a 2017 NEA Jazz Master). Interpreting TV and film themes such as “Mission: Impossible,” “In The Heat of the Night” and “Charade” as soul jazz, the project whetted Tana’s appetite for other overlooked material in the same vein. [Later he] plunged into the world of Bond songs with his 2011 album Kiss Kiss Bang Bang (Sons of Sound) — which features lush arrangements by Larry Dunlap that reimagine “Nobody Does It Better,” “Live and Let Die” and “Goldfinger” with Brazilian and Afro-Caribbean grooves. For a couple of years after its release, Tana performed with a seven-piece version of the Secret Agent Band. But when the time felt right to revisit the material, he created a sleek, soulful new version of the group with a smaller, more flexible lineup. Annie Sellick, who grew up in Nashville, became a singer almost by accident. Cajoled into sitting in with a band at college, she sang the only jazz song she knew at the time, Peggy Lee’s “Fever”. As she recalls, “I just got up there and gave it all I had. To my surprise, the crowd went bezerk and the band hired me on the spot.” While performing gigs at night, she studied her craft at the Nashville Jazz Workshop and was offered their first work/study opportunity. Today, she is a mainstay at the major jazz venues in Nashville and performs nationally and around the world. 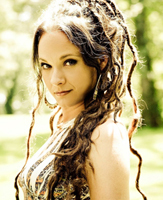 Sellick runs her own label, Chalice Music, and has recorded five CDs of her music, one featuring Joey DeFrancesco on the Hammond B-3. Born and raised in Japan, Midori Ono started playing various keyboards at a very young age. She progressed to the Hammond organ when just eleven years old. Six years later, she won first prize in the Japan Hammond Organ Competition, Senior Division. As part of her prize, she went to Los Angeles for the first time and listened to performances by local organ players. She was so amazed and moved that she then wanted to become a jazz organ player. 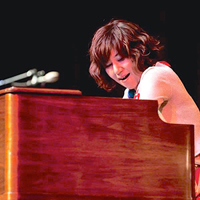 After graduating from Doshisha University, she started performing on the organ in Japan and played with Dr. Lonnie Smith, Jack McDuff, and others when they came to town. Making a name for herself, Ono began performing in the US at the jazz festivals in San Francisco, San Jose, and Stanford among other. She released her first album Green’s Blues in 1999, and in 2014, released In My Own Way with Akira Tana. Ono currently lives in Nara prefecture, Japan, and performs in Jazz Organ Live concerts for children all over Japan. Saxophonist James Mahone is an active performer and instructor. He began his musical journey almost thirty years ago in Monterey, California, soaking in the influence of its rich music scene. He went on to California State University Northridge to study classical and jazz saxophone under Bill Caulkins and participated in the university’s award-winning wind ensembles and jazz big bands under Ladd Macintosh, Joel Leach, and Gary Pratt. 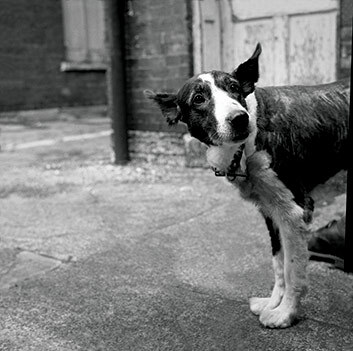 After graduating, Mahone became a fixture on the Los Angeles music scene. He was a founding member of the acclaimed jazz quintet Black Note and spent several years touring with the them nationally and internationally. He later spent time in New York at The New School studying saxophone and composition under Garry Dial, Billy Harper, Benny Powell and Charles Tolliver. Jeff Massanari was born in the small town of Goshen, Indiana, but moved to Washington DC at age nine. Exposed to the vibrant music scene there, he sought out the guitar and began playing rock and blues as a young teen. But after a friend brought over a recording of John McLaughlin’s Inner Mounting Flame, he was hooked on jazz from the very first note. He went on to study at Boston’s Berklee School of Music and later moved to the San Francisco Bay Area, where he quickly became one of the most in-demand guitarists. Massanari wears many stylistic hats including straight-ahead jazz, fusion, blues, rock and even has some serious country chops. He is at home playing complex jazz solo guitar arrangements as well as tearing up a plate full of blues on his Strat! In addition to his busy performance schedule, Jeff has a waiting list for private instruction through UC Berkeley, the California Jazz Conservatory, and private referrals. A self-taught drummer/percussionist, Akira Tana started playing semi-professionally while still in college. Born and raised in California, he headed East to earn degrees from Harvard and the New England Conservatory of Music. Since then, Tana has worked with Sonny Rollins, Sonny Stitt, Zoot Sims, Milt Jackson, Jim Hall, Art Farmer, and other notables and has appeared on over 150 recordings. With bassist Rufus Reid he formed the band TanaReid and also the Asian American Jazz Trio. He has four recordings as a leader on Sons of Sound recordings: Secret Agent Men, Moon Over the World, Kiss Kiss Bang Bang, and most recently Otonowa, which features jazz interpretations of Japanese folk and pop melodies that date back decades and even centuries. Michael Wang, who will be a senior this fall at Los Altos High School, has been playing music his whole life and is an accomplished violist who has performed with various all-youth orchestras on the Peninsula. Three years ago, though, he began studying the drums with Akira Tana, which has led to performances with the Stanford Jazz Workshop’s high school big band and the Stanford University Jazz Orchestra. Wang intends to pursue his jazz education further. Harry Gold is a blues and jazz guitarist, pianist, and singer who has performed all over the United States as well as in several countries in Europe. For the last six years Harry has developed and directed the music program at Holden High School. Besides performing, he has been a working as a luthier, repairing and building guitars for the better part of the last ten years. Harry holds a Bachelor of Music from the California Jazz Conservatory and gives private lessons on guitar and piano to students of all experience levels. Trombonist Alan Ferber returns to Doc’s Lab as guest artist with Electric Squeezebox Orchestra. Under the direction of Erik Jekabson, the program will feature compositions by Alan Ferber and opens with a student group from the Lafayette Summer Jazz Workshop Combo. 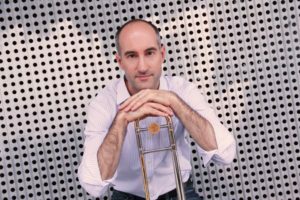 Recognized as one of the leading trombonists of his generation by Downbeat magazine, Alan Ferber hails from Oakland but has made New York his home since 1999. There he has built a solid reputation both as an ensemble player and an improviser, performing with artists ranging from Esperanza Spalding, Charlie Hunter, the Vanguard Jazz Orchestra, Toshiko Akiyoshi, Lee Konitz, Kenny Wheeler, John Hollenbeck, and Don Byron to Sufjan Stevens, Peter Gabriel, The National, Harry Connick Jr, They Might Be Giants, and Dr. Dre. His teaching credits include adjunct professor of jazz trombone and composition at New York University’s Steinhardt School, Johns Hopkins University’s Peabody Conservatory, and Montclair State University’s John J. Cali School of Music. The Electric Squeezebox Orchestra, led by Erik Jekabson, is a 17-piece big band based in San Francisco that plays music composed and arranged by its members. 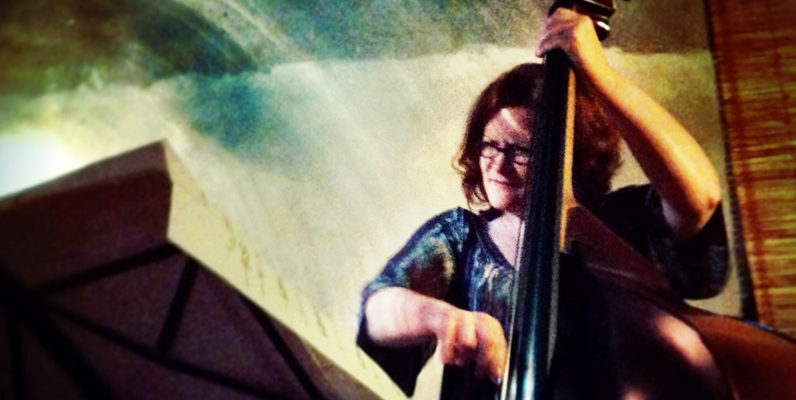 Once a month, Jazz in the Neighborhood sponsors their Sunday performance at Doc’s Lab. Pianist Ken Cook is accompanied by Jeff Denson, bass, and Kendrick Freeman, drums. Balancing the traditions of jazz, blues, and contemporary music, this trio paints sonic landscapes with structure, freedom, dialogue and chance. The music of Monk, Keith Jarrett, and the modern masters provide the starting point. 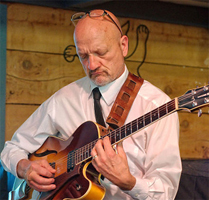 Ken Cook is a graduate of the New England Conservatory in Boston and been on the Bay Area scene playing jazz, blues, Latin and Brazilian Music for over ten years. He leads this trio in addition to playing with Bay Area favorites, John Calloway, Terrie Odabi, and Mark Summer (Turtle Island Quartet) among others. Cook holds the Jazz piano chair on the music faculty at Sonoma State University. 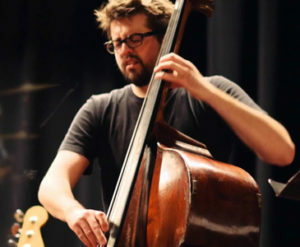 Bassist, educator, composer and band leader Jeff Denson is known for his critically acclaimed work with alto saxophonist Lee Konitz. He’s toured throughout Europe and the U.S. with Konitz both as a sideman and a leader. He is a full professor at the California Jazz Conservatory in Berkeley and leads three of his own groups. Kendrick Freeman is a Bay Area drummer, percussionist, and teacher with a background in both drum set and hand drums. His drum set and traditional studies inform each other, and he has been flexible enough to work with wide range of artists in a number of styles and settings, among them national dobro ace Rob Ickes, string wizard Joe Craven, banjoist Alison Brown, Pakistani singer Sukhawat Ali Khan, the flamenco group Rumba Tribe, and blues artists lke Soul Fuse and guitarist Michael Barclay. Jazz in the Neighborhood’s Emerging Artist will be alto sax player Gio Mendez. A student at Casa Grande High, he recently performed at the Healdsburg Jazz Festival as a member of the Big House Quintet. This free concert is presented as a collaboration between Jazz in the Neighborhood and Copperfield’s Books. We are grateful for the monetary support of our members, supporters, and advertisers that make these concerts possible. Thanks also to Bananas At Large for providing our new concert sound system. John Hoy will lead on guitar with Richard Lieter, keyboard, and Cliff Hugo, bass. The trio will play a mix of light-hearted music including TV show themes interpreted in a jazz context. They’ll also perform some unique arrangements of songs that aren’t normally thought of as jazz. John espouses the philosophy that jazz should be fun for both the musician and the listener. Our Emerging Artists will be Patrick Kelley, guitar, with Cole Bailey on bass and Matt Paquette, drums. John Hoy, a sought after guitarist and bassist in the Bay Area, combines the styles of jazz, blues, and pop. He studied at Berklee College of Music and went on to make a name for himself in Los Angeles by doing club work, studio sessions, and arranging and performing on film soundtracks. After moving to the Bay Area, he opened his own recording studio becoming a producer and player on many independent CD projects. Many will have heard Richard Leiter playing the jazz piano tracks on various Charlie Brown Peanuts specials and commercials. His playing and singing have also been featured in projects for the Sheraton Hotels, Tropicana, Paramount Pictures as well as projects for NBC and CBS. He performs regularly at Bay Area venues like Martuni’s, Castagnola’s, and the Claremont, where his style is a unique jazz-R&B spin on Gershwin, Jobim, Motown, and the Beatles. As a composer, Leiter has created and produced music for hundreds of TV & Radio projects You can view his work at www.richjingles.com. His production company, Words & Music, is located in Marin County. Cliff Hugo is best known as the bassist for the legendary group Supertramp, and he’s also performed with luminaries like Ray Charles, Melissa Manchester, and Manhattan Transfer. Over the years Hugo has lent his talents in over 1,000 commercial jingles and hundreds of film and TV scores, too. Patrick Kelley and his bandmates met at Marin School of the Arts a few years ago and have been playing and writing various styles of music together ever since. All three have played in the big band and in small combos at MSA. Currently, the three are working on an alternative/rock band called Relevancy, using their musical skills and ideas to write and record original music. Ila Cantor performs original music featuring her latest love, the charango. The charango is a 10-string Peruvian instrument used in traditional Andean and folk music. It has practically no presence in jazz or chamber music, but Cantor has been inspired to change that. Accompanied by John Wiitala on upright bass and Hamir Atwal on drums, she is thrilled to be presenting a new approach that blends the sounds of traditional South American folk music with jazz instrumentation and composition. Her student, guitarist Spencer Handley, will be the Emerging Artist for this concert. Excerpted below is an article by Lily O’Brien that appeared in the June 28 issue of the Pacific Sun. “I have this commitment right now to just follow my heart when it comes to music,” says jazz guitarist Ila Cantor by telephone from her home in Oakland. A serious jazz guitar student in New York at age 15, she began a successful career that included performing, recording and teaching in New York and Barcelona. But at 25, everything changed. But while in Hawaii, she began playing again, on the beach, just for fun. And then she discovered songwriting. “It was a beautiful way for me to express and explore what I really love about music,” Cantor says. After a couple of years, she decided to move to California to pursue music again, but more freely. Ila Cantor’s new EP, As You Are, features original songs with reflective lyrics and dreamy vocals accompanied by the charango. This free concert is presented as a collaboration between Jazz in the Neighborhood and Copperfield’s Books. We are grateful to our members, supporters, and advertisers for making these concerts possible. Thanks also to Bananas At Large for providing our new PA system. Saxophonist Michael O’Neill performs with Peter Horvath, piano; Jeff Chambers, bass; and Jason Lewis, drums. Ari Silberman, saxophone, and David Lechuga, guitar, will be Jazz in the Neighborhood’s Emerging Artists. This free concert is presented as a collaboration between Jazz in the Neighborhood and Copperfield’s Books. We are grateful to our members, supporters, and sponsors such as the Magic Flute making these concerts possible. Thanks also to Bananas At Large for providing our new PA system. 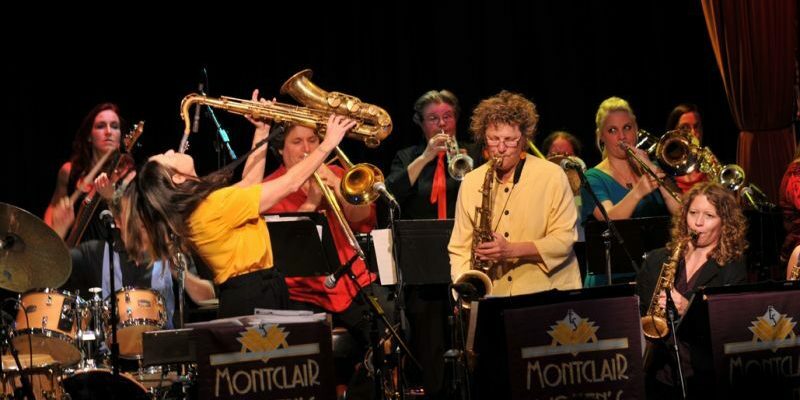 Jazz in the Neighborhood presents the Montclair Women’s Big Band, a Bay Area treasure, as they celebrate their 20th anniversary. Founded in 1997 by veteran trumpeter Ellen Seeling and saxophonist Jean Fineberg, the group is an alliance of some of the region’s most formidable jazz women, who range in age from their twenties to their seventies. Forging a singular blues-drenched sound with a deep Latin pocket and captivating original material, audiences are electrified by the band’s powerhouse ensemble, addictive grooves, and inspired solos. Ellen Seeling is a pioneering trumpeter who was the first woman to graduate from Indiana University’s prestigious Jazz Studies Program in 1975. By the late 1970s she was well established on the New York scene as an eminently versatile player who moved seamlessly among gigs with top jazz, salsa, R&B, rock and disco acts. After relocating to the Bay Area in 1989 and founding the Montclair Women’s Big Band with Jean Fineberg, Seeling created the Jazzschool Girls Jazz and Blues Camp, and the Jazzschool Women’s Jazz and Blues Camp. These are still the only camps of their kind: specifically for girls and women with an all-woman faculty. She also founded the first nonprofit advocacy group in jazz for women and girls, JazzWomen and Girls Advocates. In 2016 the group successfully collaborated with the Jazz at Lincoln Center Orchestra to assist in their adoption of blind auditions as a hiring procedure. This is the first time any jazz organization will use blind auditions. As for the other Montclair Women’s Big Band players, every musician is a professional performer. Many are leaders of their own groups as well as being recording artists and in-demand players. They are also middle and high school jazz band directors, private-lesson teachers, on university or college faculties, have their own music-related businesses, or work as composers or sound engineers. The line up includes Kasey Knudsen, Mad Duran, Jean Fineberg, Eli Maliwan, Carolyn Walter, Ellen Seeling, Tiffany Carrico, Marina Garza, Sarah Wilson, Mara Fox, Emily Sanchez, Bonnie Maddox, Becca Burrington, Erika Oba, Michaelle Goerlitz, and Alan Hall. For this event they’ll be performing an eclectic set list of big band classics, Latin styles, new arrangements, and original compositions by women composers, some of whom are in the band. Their forthcoming CD, Women’s Work, is an album of ten originals by different women composer/arrangers. Other CDs will be available for sale at this event along with band T-shirts, and a new book which includes a chapter on Ellen Seeling, Freedom of Expression: Interviews with Women in Jazz, by Chris Becker. $15 general admission. $10 students & seniors. The New American Songbook Project features daring arrangements and re-constructions of jazz, pop, and folk standards made famous by vocalists such as Frank Sinatra, Ella Fitzgerald, Ray Charles, Astrud Gilberto, Graham Nash, Mick Jagger, and Cat Stevens. The performers will be vocalist Rocio Guitard; Michael Smolens, pianist and arranger; Alex Murzyn, sax; Fred Randolph, bass; and Greg Wyser-Pratte, drums. The band has developed near telepathic communication between players, allowing for unpredictable excursions and vivid storytelling by their vocalist. Each tune drawing its own color as the sax (soprano/alto/tenor), bass (acoustic/fretless & fretted electric), and keyboard (piano/electric piano) are heard in a myriad of different combinations. Rarely do audiences experience the bass, drums, and voice as equally featured soloists. And still rarer to hear a vocalist improvise lyrics on-the-spot, doubling blistering saxophone lines, and singing floating bi-tonal melodies. The band’s few original songs appear fully disguised as impostors from another era. Pianist Peter Horvath is joined by Jeff Chambers, bass, and Jason Lewis, drums. Based in the San Francisco Bay Area since the mid-1980s, the classically trained Horvath has thrived in the region’s highly diverse environment where various music scenes often overlap. He’s played post-bop with Bobby Hutcherson and Joe Henderson, Latin jazz with Arturo Sandoval and Ray Obiedo as well as funk, R&B, and funk fusion in numerous bands. His latest album, Absolute Reality, is a highly personal and supremely engaging album by an artist eager to celebrate the musical riches he’s experienced in the Bay Area. Tickets: $20 advance. $25 day of show. $5 student rush/sliding scale. Jazz in the Neighborhood presents an experimental/free jazz concert and jam with the Lisa Mezzacappa Group. Led by bassist Lisa Mezzacappa, the band will be Cory Wright, reeds; John Finkbeiner, guitar, and Jason Levis, drums. The evening will be a workshop for musicians who want to learn more about free improvisation and how to structure free improvisation as a group. Anyone who is competent on their instrument, whether in a jazz context or even in classical music or other genres like rock or folk music, is welcome to join in. After a short set by her ensemble, Lisa Mezzacappa will lead a free improv training session with members of her band. Then those who have signed in for the jam will be invited to sit in for the session part of the evening. Some ad hoc ensembles will also be formed to play short improv pieces. A few simple tunes will be on hand that people can read and arrange on the spot together. If you’re competent on your instrument and open to exploring new sounds and ways of interacting, this will be a great opportunity to learn from and play with some of the best improvisers in the Bay Area. This is event is part the Neighborhood Sessions series, a collaboration between Jazz in the Neighborhood and the California Jazz Conservatory with partial funding from the Zellerbach Family Foundation. Tickets: $10 general admission. CJC-degree-program students, free. BYO if you’re over 21. Erik Jekabson leads SF’s favorite big band with special guest Laurie Antonioli. Opening will be Jazz in the Neighborhood emerging artists Susana Pineda and Luis Salcedo, who form the duo Opaluna. Celebrate International Jazz Day at this benefit for the SOTA World Music + Dance and Latin Band. Proceeds will help 37 students travel to Havana in this June. Opening will be the SOTA Latin Band under the direction of Melecio Magdaluyo. The Ruth Asawa School of the Arts (SOTA) is the nation’s only public high school program with hands-on world music ensembles. Students learn not only what music is, but why it is—what music means to its practitioners and audiences around the globe. Through this ethnomusicological approach, young artists gain a deep appreciation of music for its own sake and for the purpose of creating sounds to heal, inspire, and unite people. Saxophonist Harvey Wainapel sits in as guest artist with Electric Squeezebox Orchestra, led by Erik Jekabson. The line up for the evening is Mary Fettig, Alex Murzyn, Larry De La Cruz, Greg Johnson, Charlie Gurke, Bill Theuer, Henry Hung, Ian Carey, Rob Ewing, Chip Tingle, Patrick Malabuyo, Jon Brummel, Steve Blum, Scott Thompson, Phil Thompson, and Rick Vandivier. Attend this fundraiser and receive a free ESO T-shirt! Doc’s Lab serves excellent food and beverages, but note that seating is limited and first-come, first-served. Friday, April 28, 6pm at Copperfield’s Books, San Rafael | Free event! A free concert by the guys who started playing a monthly gig back in 2011 at the now shuttered Actual Café in Oakland. Presented as part of the 30th anniversary celebration of Asian Improv Arts, Jon Jang, piano, and Francis Wong, sax, will be joined by special guest Hafez Modirzadeh on sax with Gary Brown on bass and Deszon Claiborne on drums. Our emerging artist will be William Berg, who will perform as a member of Francis Wong & the Truthful Tenor Trio. To start the evening, the Jazz Journalists Association will honor Jang and Wong with the 2017 Jazz Heros Award for their work as jazz activists and advocates who have made a significant impact in their local communities. Jazz in the Neighborhood is honored to be hosting the awards presentation, which was announced after we had booked the group some months ago. Jon Jang is a pianist, composer, bandleader and activist whose music reflects his thirst for social justice and his gift for merging jazz with traditional Chinese musical forms and cadences. He has created an ambitious body of epic works that is nothing less than a strikingly vivid history of the Chinese American experience. Though a brilliant saxophonist, Francis Wong has often put his performing career on the back burner to serve the Bay Area arts community. He’s been particularly involved in supporting artists seeking to create music inspired by and growing out of movements for social justice. $15 general. $10students & seniors. Ruth Davies on bass, Pat Wilder doing vocals and guitar, Tammy Hall on piano, and Daria Johnson, drums and vocals. Following our usual format, the session begins with a set by the pro musicians. Our masterclass participants will be Minor F from Oakland School of the Arts, who are Camille Collins on tenor sax, Hannah Mayer on piano, Arielle Zakim on bass, and Jayla Hernandez on drums. By popular demand, we have expanded the jam session portion of the evening when members of the audience are invited to take the stage. All instruments and vocalists—amateur to pro—are welcome at every session. Signup sheets will be available at the door. Although vocalists must provide charts in the desired key for the accompanying musicians, both instrumentalists and vocalists need to have their material under their belts—no charts or sheet music allowed! The Back Room is four blocks from Downtown Berkeley BART. BYO if you’re over 21. And don’t forget to bring your instrument. $10 general admission. CJC-degree-students: free with ID. Don’t miss this very special concert where Mads Tolling and John Burr present their premiere performance as a duo. The evening will be a journey of vibrant jazz and spirited renditions of some great American standards, including music by Ramsey Lewis, Hoagy Carmichael, and many more. Mads Tolling is an internationally renowned violinist and composer, two-time Grammy Award winner, and the 2016 Downbeat Critics Poll Rising Star violinist. He’s a former nine-year member of both Turtle Island Quartet and bassist Stanley Clarke’s band, and has performed with Chick Corea, Ramsey Lewis, Kenny Barron, and Paquito D’Rivera as well as his own ensembles. He’s been featured on NPR’s Morning Edition, with his recordings receiving rave reviews in Downbeat Magazine, Strings Magazine, Washington Post, and the San Francisco Chronicle. Classically trained, Mads has spent most his professional life touring internationally. He recently had his CD release of The Mads Men Playing the 60s at Yoshi’s, and he’ll be returning home from a European tour for this event. If you’re mad about Mads, this is going to be a fabulous evening at the lovely, intimate Piedmont Center for the Arts. Plus, Mads is bringing some fantastic young talent to start off the evening, a string ensemble called Where to Now? They are Aerie Walker, Tuki Walker, Raphaella Brown, and Allison Marten. Students at Oakland School of the Arts, they play a quintessentially Bay Area style of string fusion music, oft described as “neo-Celtic with a jazz twist”. Filed Under: 2017 April, Events Tagged With: John R. Burr, Mads Tolling, Piedmont Center for the Arts, Where to Now? The sophistication and warm power of Debbie Poryes’s music is hard to overstate. Her highly original compositions are influenced by jazz from bebop to post-bop to modern times, as well as by 20th-century classical music and free jazz. Her voicings, melodies and touch are exquisite. Her sense of time and swing are deeply felt, and yet she can also be light hearted. Poryes has recorded three CDs as the leader of a piano duet, trio, and quartet ensemble, which can be heard on Pandora, Spotify, and at www.debbieporyes.com. In this trio setting, she will be joined by Peter Barshay, bass, and David Rokeach, drums. Barshay lived for many years in New York, establishing a strong reputation on the jazz scene, playing with greats like Kenny Barron, Shirley Horn, and Freddie Hubbard. 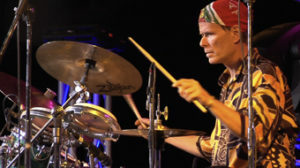 Rokeach, an in-demand drummer in the Bay Area, has played with Ray Charles, Aretha Franklin, and covered the Jersey Boys chair. They are both wonderful guys with big ears and a surplus of creative energies. The emerging artist for this event will be Tyler Harlow. Acclaimed vocalist Clairdee and emerging artist Noa Levy — two women from different generations and cultural backgrounds — explore the meaning of love through songs from the Great American Songbook. Clairdee’s soulfully alluring style and rich timbre reveal roots in the gospel church. She has an intimate, vulnerable and gentle way with a ballad, yet she can swing or shout at will. With her lustrous voice, heartfelt delivery, and scene-stealing charisma, she has honed a repertoire of standards set to state of the art arrangements that are equally smart and entertaining. With three highly praised albums to her credit, Clairdee’s newest recording, “A Love Letter to Lena Horne,” is currently in production in support of her 2017-18 concerts celebrating Ms. Horne’s centenary. Clairdee’s rhythm section will be Ken French, piano, Ron Belcher, bass, and Jim Zimmerman, drums.